Exeter-based Lightfoot® is partnering with Allianz Insurance Plc to launch a new programme to encourage and reward better driving among UK fleets. Starting this month ‘Lightfoot Fleet Driver of the Week’ will give fleet drivers using Lightfoot the chance to win a series of great prizes. Sponsored by Allianz Insurance Plc, prizes will range from weekend breaks to spa and supercar days. All drivers have to do to be eligible for the weekly prize draws is achieve their weekly KPIs with Lightfoot, encouraging a higher level of driver efficiency. The launch of ‘Lightfoot Fleet Driver of the Week’ is the latest innovation from Lightfoot, which continues to disrupt the telematics sector with new technology and solutions that improve driver and fleet efficiency. Official risk management technology partner for Allianz Insurance Plc, the UK’s second largest fleet insurer, Lightfoot helps thousands of fleet drivers reduce accidents, fuel consumption, CO2 emissions and engine wear and tear. Now, for the first time ever, better fleet drivers are to be directly recognised and rewarded. Additional categories and rewards will be introduced over time, extending the gamification credentials of Lightfoot, whose fleet customers already compete for best-driving status in Lightfoot’s national weekly leagues. Fleet, company car and grey fleet managers interested in learning more should visit the Lightfoot website (www.lightfoot.co.uk) or call for more information on 01392 340 419. Lightfoot® has been developed by award-winning low emission vehicle specialist Ashwoods Automotive Ltd – a dynamic and visionary UK-based cleantech engineering company founded in 2009. Ashwoods’ products enable vehicles to operate more efficiently, meaning costs are cut, resources are used more sparingly and harmful emissions are reduced without any impact on performance.Lightfoot is a unique, real-time verbal coaching technology that helps drivers understand exactly how they need to drive their vehicles to be both safe and efficient. 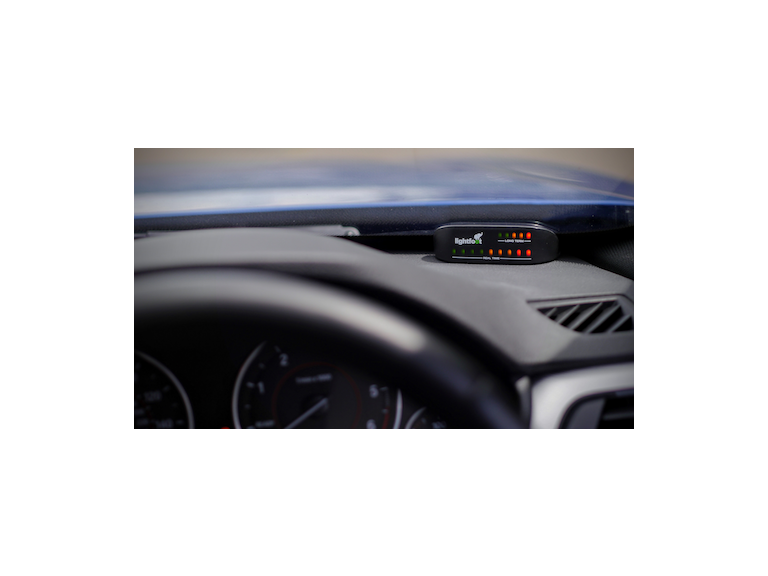 Lightfoot connects to the vehicle’s engine and uses Formula 1 style analytics to identify the specific vehicle’s efficiency ‘sweet spot’. It gives the driver both visual and verbal alerts to gently nudge them back into a safer, more efficient driving style as quickly as possible. If (and only if) these initial alerts are ignored, the driver receives a ‘penalty’, which is then visible to management through the reporting system. Because the system works in-cab, in real-time, all the time, the driver quickly learns and sustains more efficient – and safer – driving habits much more successfully than with traditional approaches that rely on retrospective data analysis and additional management input. Lightfoot has an unrivalled track record in helping businesses reduce fuel bills by up to 20%, cut CO2 emissions by up to 20% and reduce at-fault accident rates by up to 60%. Its clients include South West Water, Alliance Healthcare, Dyno-Rod, various councils across the UK and many others. Lightfoot is designed, developed and manufactured in the UK with a full UK based customer support team to ensure the highest possible customer support and service.